My guests enjoyed this very special sighting of a small insect. Skillfully light by Bheki’s spotlight I took this shot of a Katydid. To get a shot on eye level I had to stretch out on the ground. 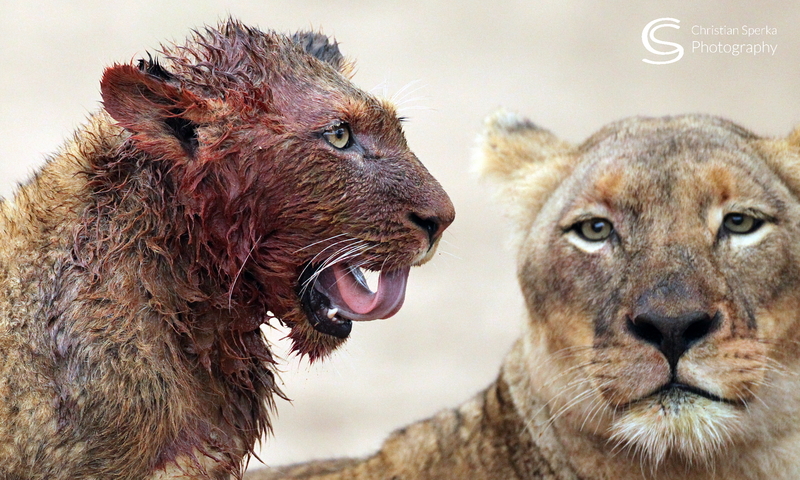 This picture is a prime example why “wildlife-eye-level-photography” is so important. Insects in the family Tettigoniidae are commonly called katydids or bush-crickets. There are more than 6,400 species. They are also known as long-horned grasshoppers, although they are more closely related to crickets than to any type of grasshopper. Many tettigoniids exhibit mimicry and camouflage, commonly with shapes and colors similar to leaves. 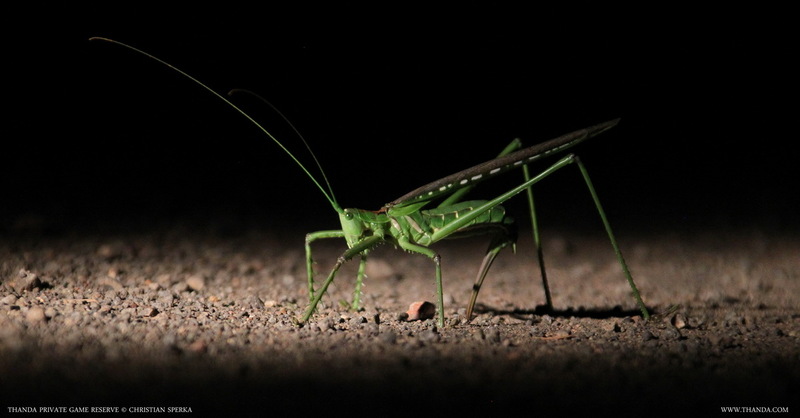 A great view of a winged predatory Katydid…watch out those critters can bite! Previous PostPrevious Hunter or hunted? Next PostNext From store room to freedom!